I had a debate with myself on our last travel day from Bozeman, Montana to Kennewick, Washington simply because I lacked inspiration as to what I should base my next (and well overdue) blog upon. Sitting on the bus from the Idaho Falls Civic Auditorium, I was suddenly feeling hot and bothered so I wrapped my hair up turban style with a scarf I was wearing at the time. 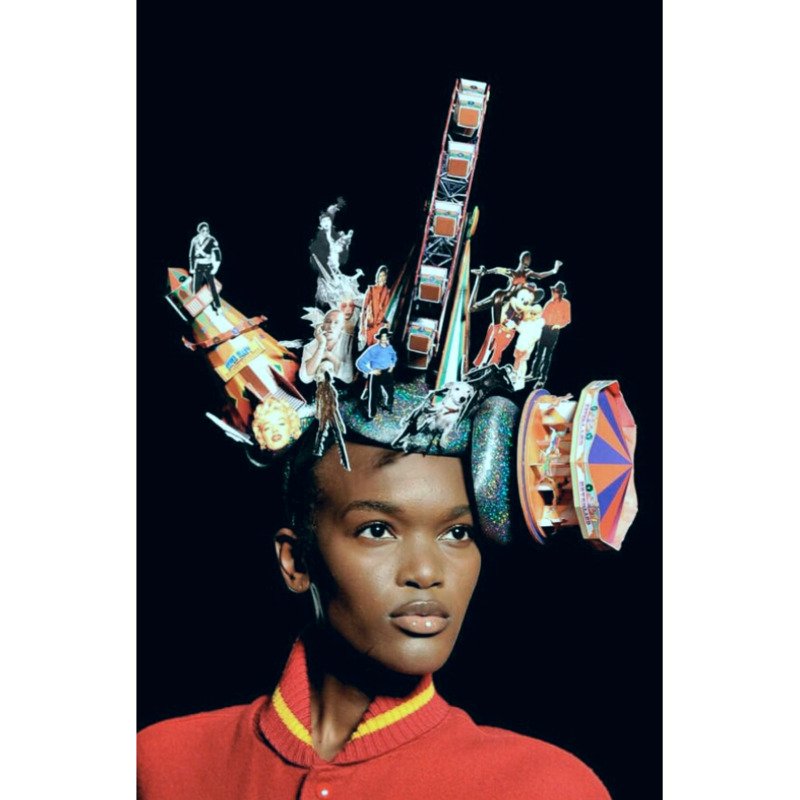 And so that is what I decided to base my next piece on: Head dressing! 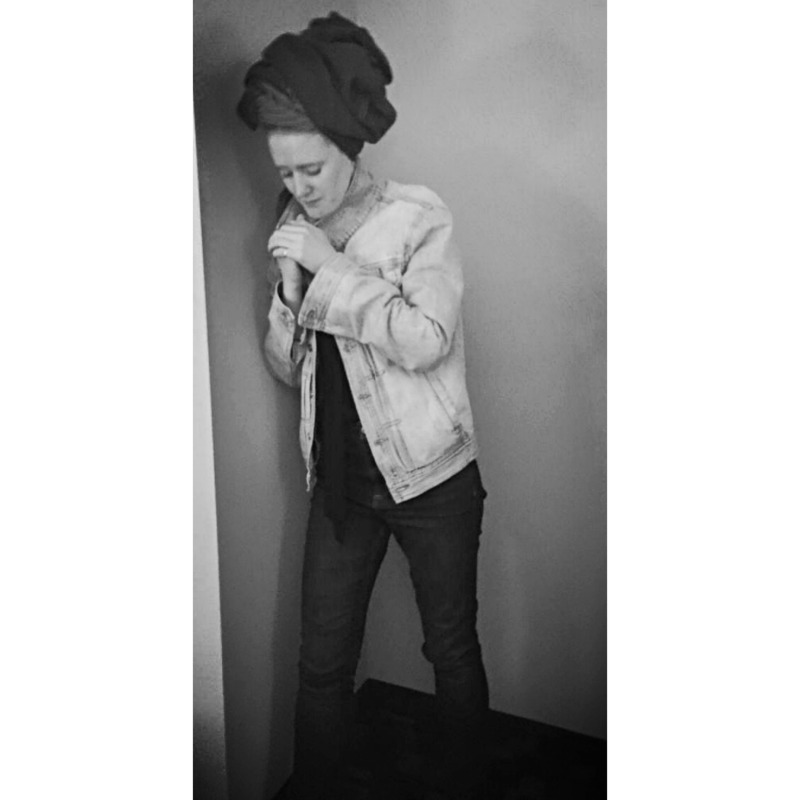 Above: Linen turban with denim (stylists own). Any headpiece which addresses the face is worth the effort. Accentuate the face. Frame the face. The list is endless. Impressions can be made via hats, fascinators, turbans or berets. Be inventive. Be creative. Above: Street style at Paris AW Fashion week. Below illustrates how the same ideology translates to the male audience just as much as the ladies. 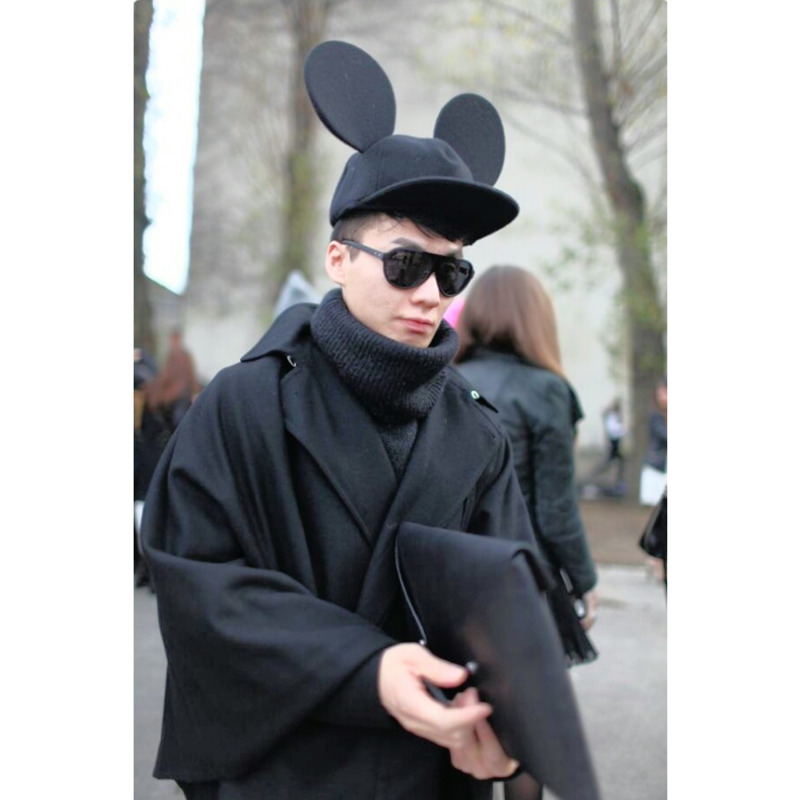 Bring out your Disney side like this brave soul did at Paris Men’s Fashion Week. (Photograph by Kuba Dabrowski). I’ve never been particularly drawn to millinery however putting even this small bit of research into this blog has made me more attuned to head pieces and decorative hats. Perhaps a nice vintage hat is on the horizon for me. Seattle scouting is next on the agenda. Vintage shop owners beware! 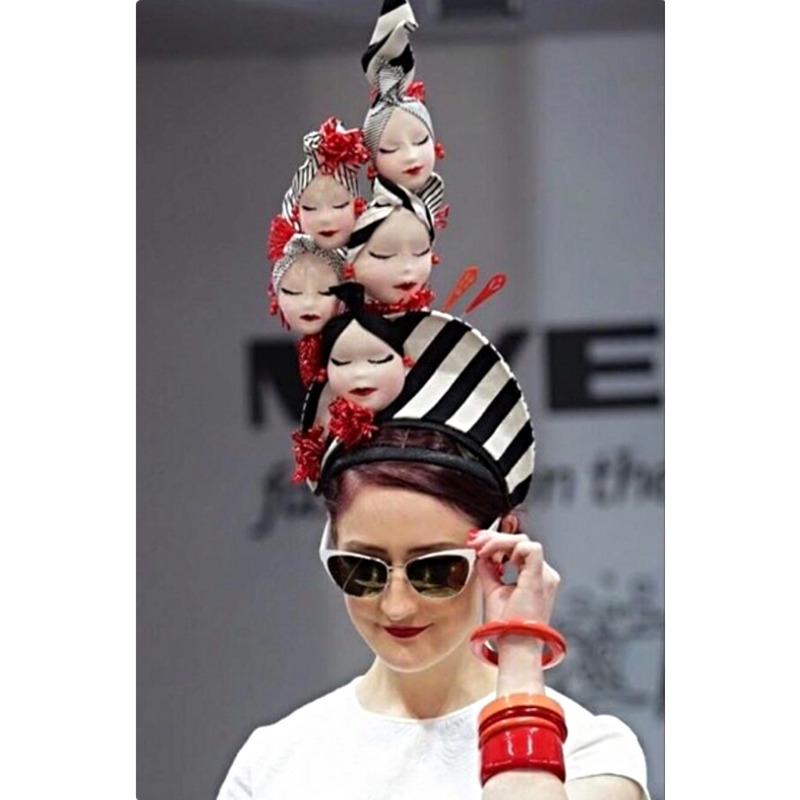 Above: Judith M Designs @ The Very Very Very School of Millinery. 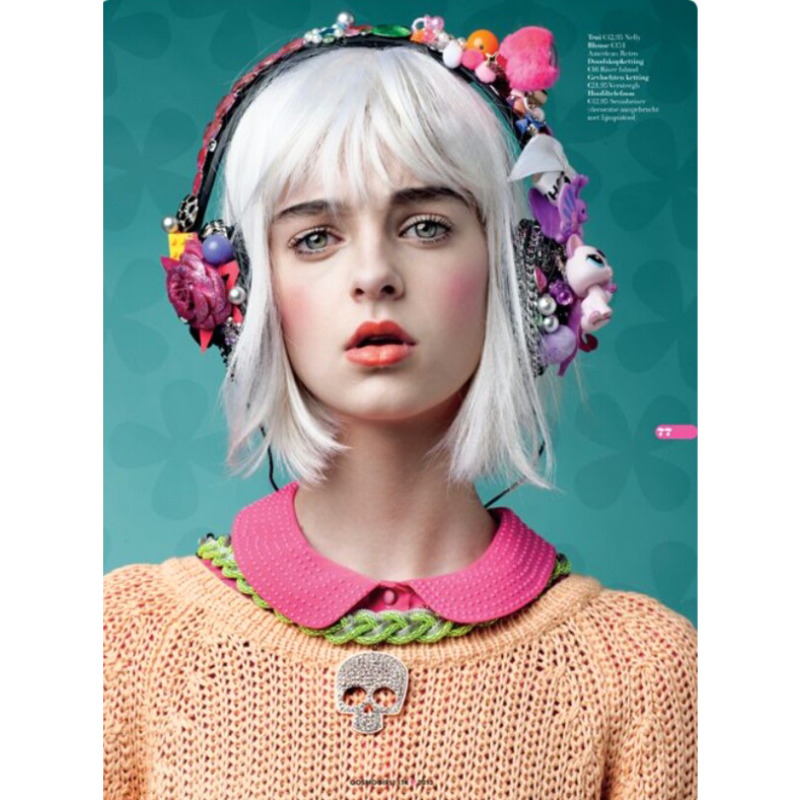 Above: Funky Bunny Headphones- Cosmo Girl by Martin Sweers. No outfit would be complete without the master himself presenting us with the pièce de résistance. The man; Mr Philip Treacy. This wonderful creation designed especially for his Runway collection was inspired by the late Micheal Jackson. Carousels and cartoon characters inserted bring this stunning fascinator to life. What terrific talent and creativity springs to life with this masterpiece (below).